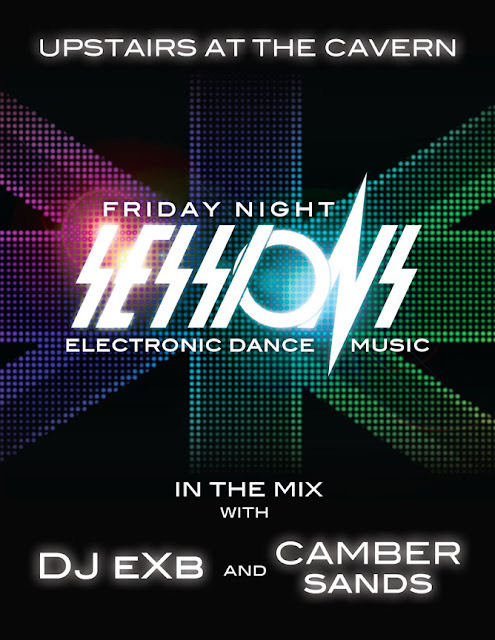 Tonight at the Cavern I will be spinning with my partner DJ eXb under my new moniker Camber Sands. Come out and join us on Lower Greenville for some top-notch dance music and stiff cocktails. For those who care, all the elements of the flyer were created from scratch in Photoshop, Illustrator and Indesign. Click on the image for a closer look. 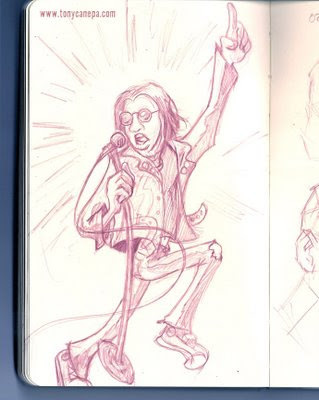 A little rock 'n roll courtesy of the Drink 'n Draw session last night. Don't forget kids, DJ eXb and I will be spinning Friday night upstairs at the Cavern (click for map). The last two weeks have been tons of fun and it's only getting better! 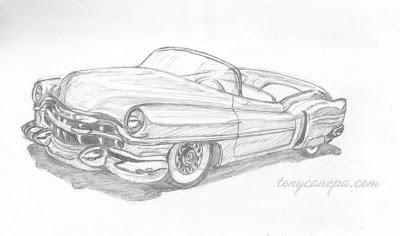 Sketch of a '53 Cadillac I did the other night. 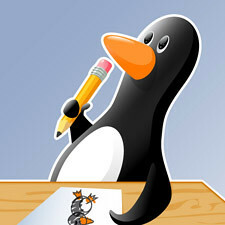 Heading to the DFW Drink and Draw tonight at the Dancing Marlin (click for map) in Deep Ellum. Hope to see you all there! My band, A Hasty Descision, finally has some quality recordings for your listening pleasure. You can find them on our Myspace page. Special thanks to our pal Justin for doing all the heavy lifting on the recording and mixing. Next Sunday, we will be appearing on the Oracle Lounge net radio show. They will be showcasing one of our tracks and chatting with the band. If you are in the Dallas area, come join us July 10th for the first of many Friday nights upstairs at the Cavern on Lower Greenville. 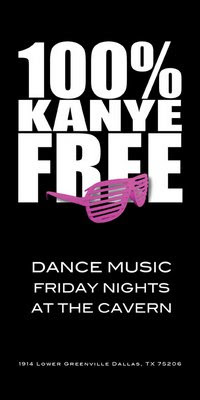 Fun dance music, no cover and stiff drinks.